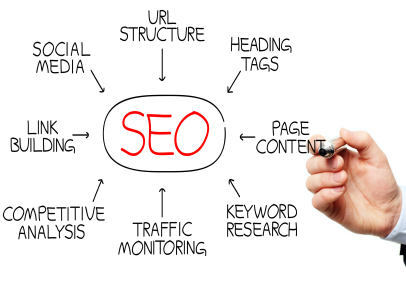 Search Engine Optimization (SEO) refers to the ranking of a Web site when someone is searching on the Internet for the types of products or services a business provides. The better your SEO, the better the chances of your company being discovered on the Web by a potential customer or client. Optimum SEO is achieved by making sure “key words” and “meta phrases” are sufficiently included, although hidden, within the tech side of a Web site. Such parlance should embrace the terms individuals are most likely to use when searching for specific information on sites such as Google, Yahoo, Bing, and others. Relevant Public Relations works with top Web designers to ensure clients’ sites include the finest search mechanisms available. In addition, Relevant PR is expert at writing key-word embroidered press releases and blogs that are specifically designed to enhance the client’s SEO and general online visibility.